For about 25 minutes last Sunday, it appeared as though all the negative talk and pressure of the pre-season had taken its toll on Penrith. In scenes reminiscent of round one at Kogarah Oval last year, the Panthers were completely out-played, fumbled their way through the opening stages and looked way behind their opposition in terms of intensity and confidence. But by the time Waqa Blake scored the first of his two tries in the 34th minute, the momentum had shifted. 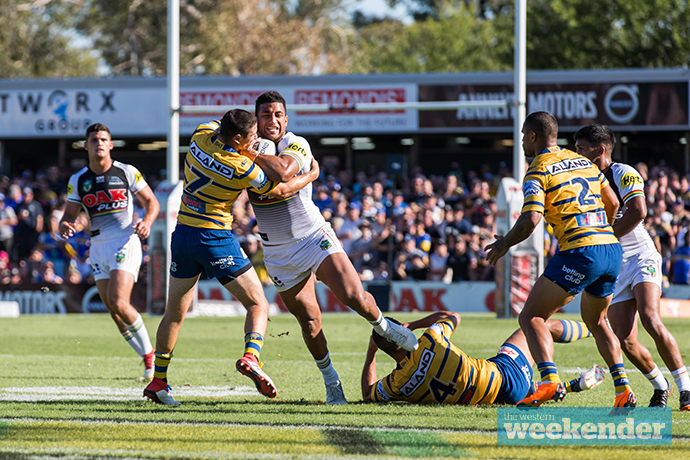 Penrith were starting to get on top of the Eels, and by the end of proceedings the fitness of the home side was winning what – as I predicted in last week’s preview – eventually became a war of attrition. 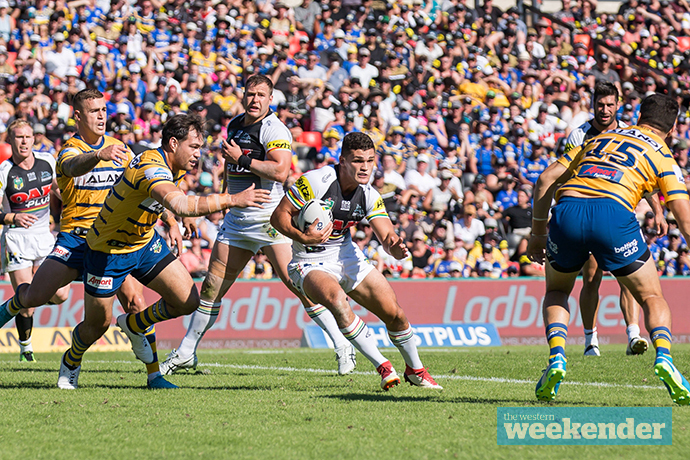 Parramatta simply couldn’t match Penrith as the hot conditions took their toll, with Anthony Griffin’s strategic use of the bench playing a big role in ensuring Penrith finished over the top of their western Sydney rivals. In the end, Penrith probably should have won by more. Three tries each and goals being the difference doesn’t really sum up how dominant Penrith were in the second half. 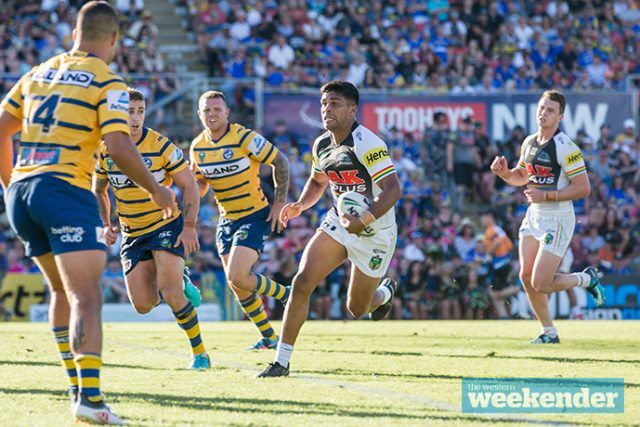 Despite some clunky moments in attack and some silly errors, Penrith showed enough in the opening round to prove they’ll be in the mix as the season wears on. They may not get away with such poor starts every week but they’ll certainly take a lot of self-belief out of the way they came back from 14-0 down with their backs against the wall. Penrith’s big weakness last weekend was without doubt their left-side defence with Tyrone Peachey and James Maloney finding themselves as the targets of plenty of Parramatta’s attack. It had the added effect of putting Josh Mansour in two minds on more than one occasion, costing Penrith points out wide. Dean Whare is an outside chance of returning on Saturday, and if he is a late inclusion it would certainly tighten up that vulnerable side of the field. Souths were ordinary in Perth against the Warriors and were dealt a further blow on Tuesday with news that halfback Adam Reynolds will miss this game due to a knee injury. While it presents an opportunity for the little-known Adam Doueihi, Reynolds’ loss is a big one for Souths – he organises the bulk of the side’s attack. I wouldn’t be surprised if Robbie Farah finds his way into the 17 come Saturday to add some further experience to the spine. The backs are reasonably well matched for this one and there’s no doubt Souths boast a potent centre pairing in Dane Gagai and Greg Inglis. But Penrith have Souths covered in the forwards and with Reynolds out, the Panthers should be able to dominate this fixture as it wears on. A top temperature of 38 degrees is tipped for Penrith on Saturday and while it’ll most likely be cooler by kick-off, the conditions will certainly be a test for both packs. Penrith proved their fitness last weekend and it may come to the fore again here. With a second straight home game, Penrith have an enormous opportunity to go back to back and maintain the momentum achieved last weekend. I’m expecting this one to be tight for 50 minutes but Penrith should be able to pull away. 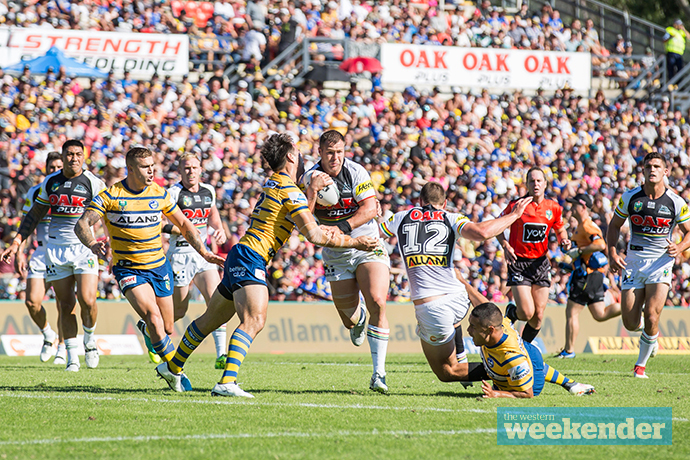 The Panthers and Rabbitohs play at Panthers Stadium on Saturday, March 17 at 5.30pm.